At the age of fifteen I read a book by a professor of magnetohydrodynamics that changed my life. His name was Herman Branover, and the book was called “Return.” It chronicled his shift of consciousness from that of a secular Russian scientist to a Jewish worldview. The contrast between the cold intellectual and emotional climate of Russian life, and the warm chassidic gatherings into which he was secretly invited, moved my heart. His encounters with the Rebbe, Rabbi Menachem Mendel Schneerson, of righteous memory, stirred my curiosity. The book unsettled me enough to keep me on the path of exploration that I had been engaged with for some time. In the past, I had been more than surprised to discover that cosmic harmony is as Jewish as matzah ball soup. Professor Branover’s book encouraged me to continue challenging my axioms in search of truth. At the age of eighteen, I visited Israel during my summer vacation. 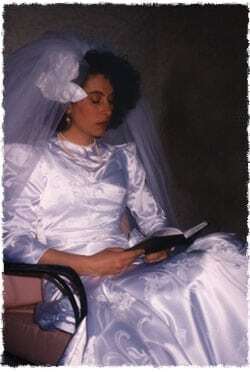 By this time, I was sporting much of the dress of a Jewish way of life and some of the outlook, although I was a long way off from viewing the world from the inside out. My base was the home of my father’s cousin, Leah. This was where I always went when I wanted to go “home” whilst on my travels. One evening after dinner, Arieh, Leah’s husband, asked me what I was doing about a shidduch, a marriage partner. My Hebrew was still in its infancy stages, and so I was certain I’d misunderstood this burly man with open blue eyes and a thick Russian-Hebrew accent. I laughed louder. “A Lubavitcher! ?” and then scoffed. Chassidim didn’t yet qualify as people I might actually have a relationship with! Not in my eighteen-year-old head, at any rate. And despite Arieh’s insistence that this was “a great guy, a wonderful match” for me, I remained firm. I visited Safed as planned, and stayed on a moshav—an Israeli village—briefly before returning to South Africa. 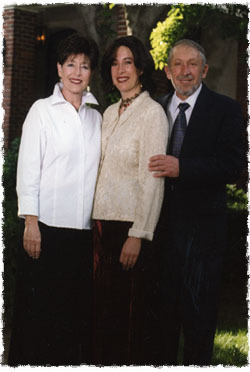 It was in that year that I met my mentor and teacher, Rabbi Kesselman. He opened up the world of Chassidism to me, consistently going deeper according to my shifting capacity to receive. After five years of study, I wanted to visit Crown Heights, Brooklyn, the headquarters of the Chabad-Lubavitch movement. For the first time, I began to feel that the world made sense, that I was fully alive. There were classes and gatherings and dynamic women and, of course, the Rebbe and his teachings. And then there were the matchmakers. Many of them. From the time of my arrival, suggestions were offered—and I responded as I had to Arieh years before, “Not me. Not now.” One person’s name in particular kept coming my way. Yehoshua. Yehoshua was an astrophysicist from Belgium. I laughed, no longer at the fact that he was a Lubavitcher or would wear one of those “black coats” upon marriage, but at the piece about the physicist. 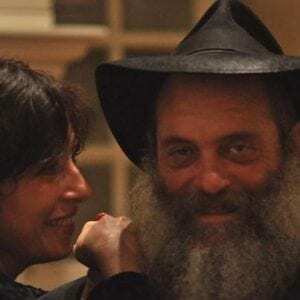 By now, I was firmly set upon marrying someone with whom I would open a Chabad House of our own. And so, over the course of ten months, I said no and no again to the suggestion. One Sunday, I received a call from a dear friend. Although she had been married for a number of years, she and her husband were childless. She asked that I please go before the Rebbe during Sunday dollars and ask for a blessing for children. Having never owned a coat prior to living in New York, I had no desire to wait in line in the cold as the slow line wound its way into 770, through the synagogue and up a winding staircase to where the Rebbe stood and greeted thousands of visitors throughout the day. But, of course, I said yes. As usual, upon entering the antechamber to where the Rebbe stood, I shifted into a different inner world. A space where all was as it was meant to be, fully authentic and open to possibility. The line swung around a corner, and I was standing in his presence. It was like being in an apple orchard. The only audible sound was the shuffle of feet, whispered pleas, and the Rebbe’s voice reverberating from the wooden wainscoting. The space was silent but full of all sound, like a wind kissing leaves and stroking ripened apples on the bough. There was a fragrance too, intangible but more present than perfume. In the Rebbe’s presence, I remembered myself in the shade and half-light of an apple orchard I’d danced in as a child. Suddenly, all too quickly, it was my turn. The Rebbe gave me a dollar to distribute to charity, and a blessing. I told him I was there to ask for a blessing for children for my friend. He gave me a personal dollar, along with a blessing for success. “This is for her husband,” he said, handing me another dollar. It sounded like “your husband.” My mind stood still. And then I walked on. As I began to move away, the Rebbe pointed at the dollar and added, “C’est pour son mari.” He had repeated his words in French. I was taken aback. Never had I told the Rebbe that I speak the language. The line was moving, and I was out in the cold before I grasped what had happened. Yehoshua, whose name was repeatedly being suggested for me, was from Belgium and spoke French fluently. I wondered naively if the Rebbe’s repeating something to me in French about a husband had any bearing on my life. That evening, I put in a call to Rabbi Eli Silberstein, who had been pushing the match. His sister lived in Antwerp and knew Yehoshua well. Eli was insistent that I meet him. Yehoshua came to pick me up. As I walked towards him, he waited at the side of the car. He was wearing a black coat, and despite the darkness, I could see his coat and ginger beard flapping in the wind. Strange thought. In my family of origin, no one’s beard flaps in the wind, ginger or not. Two weeks later, we were engaged. That was during the intermediate days of Passover. 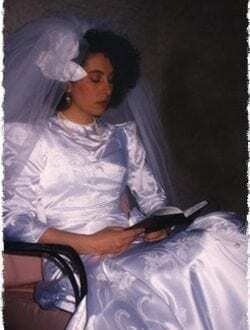 We both prepared for our wedding day, I in New York and Yehoshua in Belgium. Two days before my scheduled departure to South Africa for our marriage, I went to the bank to withdraw some cash. Yehoshua’s learning partner met me and asked me how I was doing. Something about his tone was not right. “Come with me,” he replied. Immediately, I knew that something had happened to Yehoshua, but he would not say a word. Immediately, I knew that something had happened to Yehoshua, but he would not say a word. Neither would the dorm mother, when we got there. “What’s happened to him? How is he?” I beseeched. “Go to Shterna,” a teacher at the school, was all she could say. No one knew how to tell me the news, and so, although I knew the truth in my heart, for those agonizing minutes I kept on hoping. Hoping that it was just an accident. Shterna opened the door with tears in her eyes. I picked up the phone and called Eli and Chana. “Eli, how is he?” I asked. On Shabbat, the Rebbe led a chassidic gathering, and he danced. I had only seen him dance like that on Simchat Torah. I stood in the synagogue, watching the Rebbe, and I wept. And yet, my heart simultaneously rejoiced as I sensed the Rebbe dancing with Yehoshua. I cried most of my tears in those few hours. The Rebbe sang and danced, and I was cleansed. On Sunday, I again stood before the Rebbe. As I approached him, an elderly Russian immigrant stood before me. She was hunched and wore an orange-and-purple-flowered polyester scarf over her dyed hair. She passed by. I stood before the Rebbe and told him what had happened. The Rebbe said something I did not understand. It was neither English nor Yiddish nor Hebrew nor French. I wondered if I was catching the tail-end of what had been intended for the Russian grandmother. The Rebbe’s secretary Rabbi Klein stood beside him. “This is the bride whose groom passed away,” he said in Yiddish. The Rebbe turned to him. Slowly. It was like watching the globe turn on its axis. He paused, but did not respond. Rabbi Klein repeated his words. The Rebbe turned to him. Slowly. He paused, but did not respond. The Rebbe still did not utter a word, but pushed his hand through the air as if to dismiss the conversation, and then slowly turned to face me. Then he said something again that neither I, nor anyone else, could understand. I was devastated. This was it? This was all the guidance I was going to get after such an event? I was supposed to already be on the plane back to South Africa for my wedding, and here I was, standing bereft of my groom. “Charasho yisvestia. 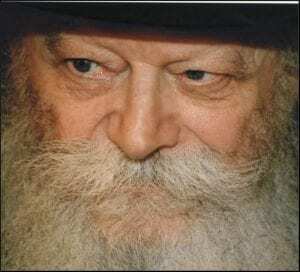 Besuros tovos,” the Rebbe concluded. “Good news. You should hear good news.” This was my blessing. And he said it in both Russian and Hebrew. Before I could say, “Please, tell me more!” I was once more out on the sidewalk. Other lives, other broken hearts—or, hopefully, joyous ones—were passing before my Rebbe. Mysterious encounters even we, the participants, did not understand. I bought a video of the brief interaction. That was when I learned that “charasho yisvestia” is Russian for “good news.” As to the rest of the words the Rebbe had spoken to me, no one could make them out. Intuitively, I knew my match would come through Eli and Chana. One day, they approached me with a suggestion. A Russian man from Riga had been mentioned to him by a vice-principal at the school where I worked. Avremel. When Avremel walked towards me the first time we met, his deep, gray-blue eyes, so kind, took my breath away. The first thought to enter my mind was, “G‑d, thank you for sending me the other half of my soul.” Once again, it was a feeling I could not explain, but after my previous experiences, I was not that taken aback. A while later we became engaged. The Rebbe blessed me “to build an everlasting home amongst the Jewish people.” That day, my groom told me that he had seen me once before we met. It was on a street corner, and he was sitting in a car as I walked by with Yehoshua. We had just passed by the Rebbe to tell him of our engagement, and had stopped alongside the car Avremel was sitting in as I introduced Yehoshua to a friend. “I’m engaged,” I had said, smiling. “Did you think I was beautiful?” I asked Avremel. Of course, I called my relatives to tell them of my good news. When I spoke to Leah in Israel, she put Arieh on the phone to wish me mazal tov. There was silence at the other end. I was floored. So this was the “Lubavitcher,” the “great guy and wonderful match” about whom I had said, “No, not me, not now” about seven years prior. Soul, time and place must merge. And the Rebbe had patiently guided me to the right soul in the right time and place. He had alluded to me that this was all part of G‑d’s plan for me. Live, live with what is. The years passed, and one blessed summer I had the privilege of spending time with my family in the Catskill Mountains at a study retreat. One of the guest lecturers was Professor Herman Branover. I was excited. His humility and brilliance moved me yet again, as they had done for the fifteen-year-old girl I once was. Afterwards, I approached him to say “thank you” and ask a question. We spoke. “What is your name?” asked Professor Branover. He looked at me, a little puzzled, as if trying to place me. My husband’s surname is not that common, but his mother descends from a well-known Lubavitcher family. “My mother-in-law is a Belinov,” I said, trying to help him out. “Tzukernik? Are you related to Aharon Leib Tzukernik by any chance? He came from Riga,” he said, disregarding my interjection. Professor Branover’s eyes became wet. This article was originally published on TheJewishWoman.org. My friend and editor Sara Esther Crispe consistently got the best out of me. You can read more about her here.